A habit has 3 parts—trigger, routine (habit), and payoff. 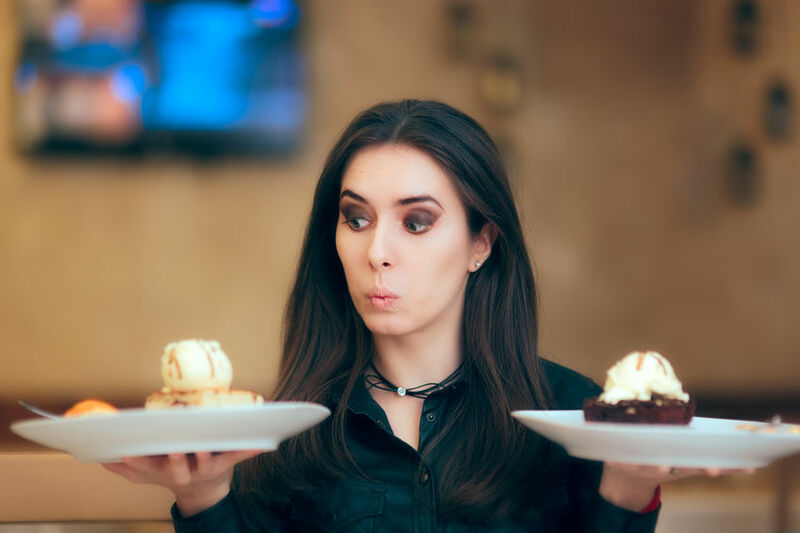 The consequences of this behavior, both the short-term feelings of guilt about ingesting the candy bar and the long-term pain of being overweight, don’t seem to be enough to stop the routine from happening in most cases. Research and experience has shown that we can do almost nothing about controlling life’s triggers. The boss is still going to yell at you, you will still feel sad and lonely sometimes, and challenging things will happen. Fighting the trigger is almost always a losing battle, but we can address the habit. Instead of reaching for the candy bar, it is time to take a break, do some journaling, phone a friend, or walk around the block. Try switching out the cigarette for a cup of tea or a glass of juice, or take a walk around the block instead. Tip: If you decide to switch out the cigarette for a glass of wine or a candy bar, know you will be back in my office dealing with a similar problem in a different form, which is fine, I would love to see you. When I was in the process of losing 70 pounds, I would get upset and be tempted to eat. Instead of reaching for food, I would spend a couple of minutes writing angry words using very bad language in a small journal I kept in my desk at work. It really helped me let go of my upset in a healthy way. If the language wasn’t so filthy, I would publish those rants because some of them are very, very funny. Most importantly, giving myself the space to rant uncensored kept me from eating. Figure out what your triggers are. Do what you can for them. Focus the majority of your attention on shifting the negative behaviors that are causing you problems to healthier behaviors that give you the payoff you were getting before. It’s not always easy to figure these things out, but when you do, you will find it much easier than you thought to shift a habit. Love yourself enough to do the work you need to change.